These figures look amazing!! I have only recently picked up the hobby after playing DOW for years. 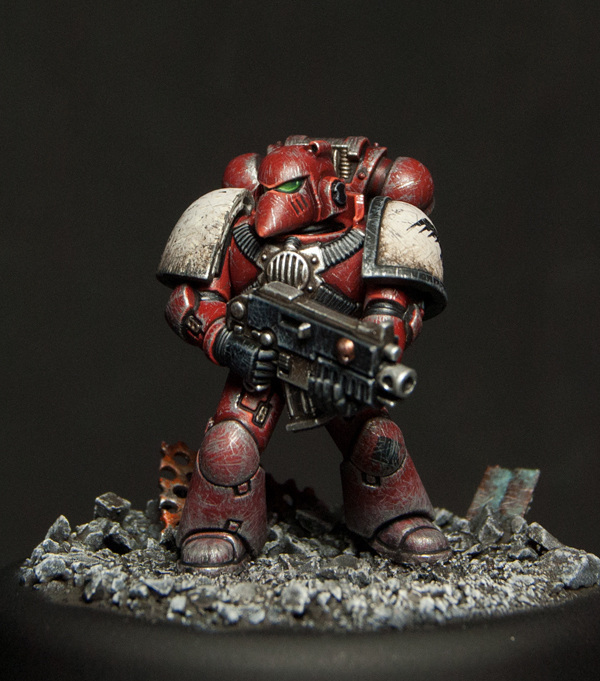 I have started a Blood Ravens army but not at the level of detail of these models. 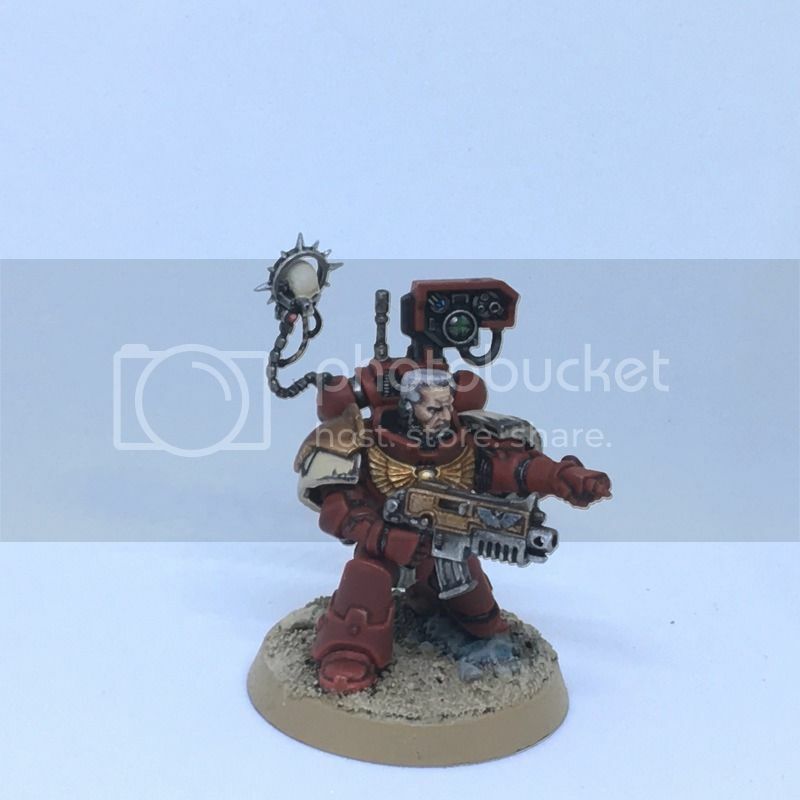 Any tips for painting Blood Ravens (colours, wearing, etc.)? Holy crap guys, these are amazing! 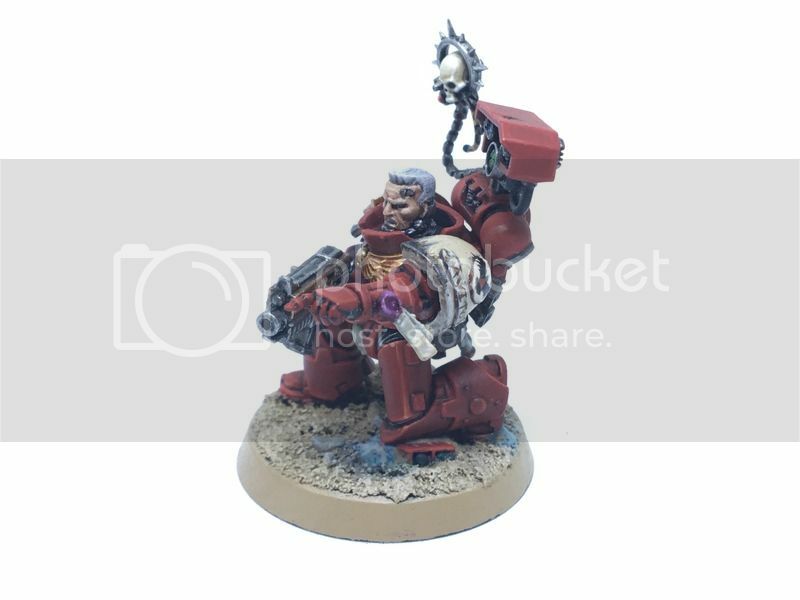 Any Angelos conversions out there? WAIT how do u show pictures on here? Man, these models look amazing. I'm still new to the hobby and just started painting my first Ultramarine tactical squad. Seeing these models is inspiring. Hmm That is a nice way to put it, However I believe most companies have black chest eagles to accomodate the raven emblem. Some of them wear gold out of pure aesthetic, accomplishing something or because of this or that. For example the veterans of kronus usually have silver skulls to represent their campaign success and stuff. Just my 2 cents. 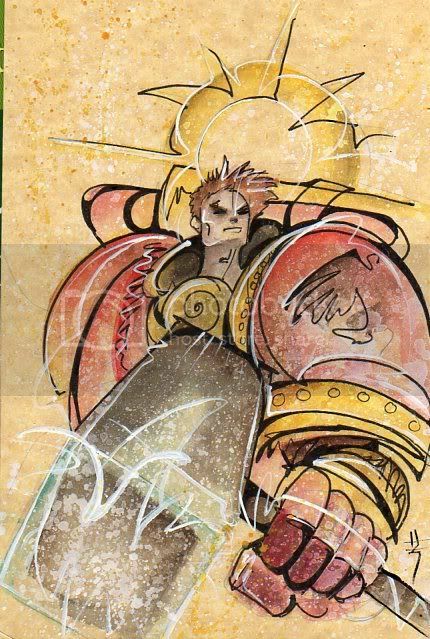 Hehehe, well the name on the novel was Aramus so I have always assumed that is his canon name. Well looks like there hasnt been much activity as I was hoping for but it is nice to see that there are fans around here. So for the Fans I am gonna drop a fan favorite. You should give that guy a vote over at the DOW 3 competition that GW is helding. I hear he doesnt actually own a DOW 3 copy... yet. start posting stuff at new page called "Dawn of War model show case"
where is that? could you provide me a link?